Total Voice | STL Communications, Inc. 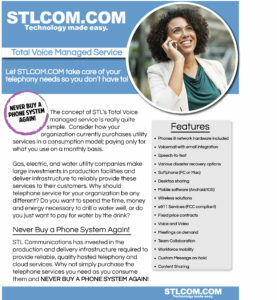 The concept of STLCOM’s Total Voice managed service is really quite simple. Consider how your organization currently purchases utility services in a consumption model: paying only for what you use on a monthly basis. Gas, electric, and water utility companies make large investments in production facilities and deliver infrastructure to reliably provide these services to their customers. Why should telephone service for your organization be any different? Do you want to spend the time, money and energy necessary to drill a water well, or do you just want to pay for water by the drink? STL Communications, Inc. has invested in the production and delivery infrastructure required to provide reliable, quality hosted telephony and cloud services. 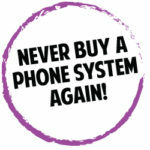 Why not simply purchase the telephone services you need as you consume them and never again purchase another phone system? Download our Total Voice brochure! 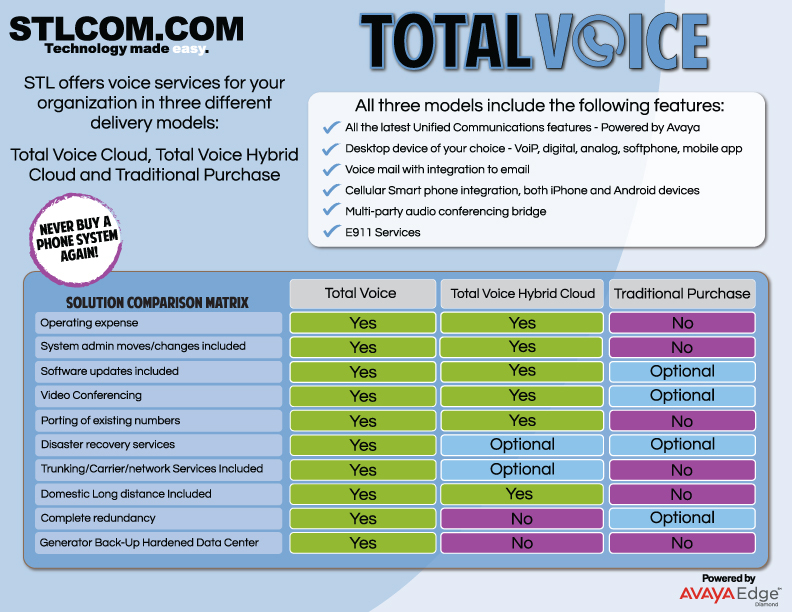 Download our Total Voice Managed Service sheet!